When you think about taking a vacation in the winter time, you normally want to go away from the foot of snow left in Toledo, Ohio, and towards the beaches and warmth of a tropical paradise. Well, that’s not the type of vacation we sought, no instead we packed the car, and took our talents to a city I love: Cleveland. When it comes to breweries, Cleveland has a surprisingly large amount of destination spots. I’m sure you’re all familiar with Great Lakes, and probably are getting to know Fat Head’s, but you may not have heard of the gems we visited. Nano Brew and Market Garden are two of Cleveland’s newer additions, both serve as brewpubs (for now), and both are run by the same set of owners. We were fortunate enough to sit down with their Brewmaster and partner, Andy Tveekrem, for a great amount of time and learn what Nano Brew and Market Garden are all about. It would be unfair of me to start this review without letting you know who Andy is, and what he has done in his past. As I said, his title now is Brewmaster of both Nano Brew and Market Garden, but that just doesn’t even start to tell you his story. Andy started his career as a History Major at the College of Wooster, but soon realized he was really into beer, more than he was History. After graduation he earned a job at Great Lakes Brewing Company, then he was off to Maryland and worked at Frederick’s Brewing (which later was bought by Flying Dog), and then went to work for my personal favorite brewery Dogfish Head. If you know anything about Dogfish Head, you know their entire company is based off of the idea that their beer needs to use unique ingredients to stand out from the crowd. While Andy loved his time there and felt that it was a great learning experience, he knew his real passion was not to add wacky ingredients to beers, but to just make a simple beer, and to make that beer amazing. Andy’s passion seems to be making delicious beer with, as he says, “the ever elusive drinkability.” He told us that there are four types of people that drink beer, and he broke it down like this. Say you are looking at a pyramid, there’s the small “A” group at the top, that will only drink a beer that is a double-imperial-bourbon-barrel monster. They want the crazy beers, the unique beers, and the high alcohol beers only. Then you have a bigger “B” group that seeks out great brews, but isn’t snobbish about the beers they drink and look for flavor over unique qualities. This is followed by an even larger “C” group below them who still drink the big domestic beers, but will try and like a craft beer if it isn’t too outrageous. Finally, there’s the “D” group which is the group of people that will never move past their favorite domestic light lagers. Andy’s goal is to appeal to the B and C groups, while every once in a while making a beer that the A group will seek out. He mainly brews for the people who, like him, want to sit down and drink a couple beers and have a good night. He said that some of his beers border on the “session beer” style, but he isn’t opposed to making bigger beers (as evidence by the 11% ABV Beachwood Smoked Malt beer called Bocephus, or the 8.5% ABV Festivus Ale). Although we didn’t spend as much time at Nano Brew as we did Market Garden, I can’t leave this establishment out of my review. It is just too cool of a concept to ignore. 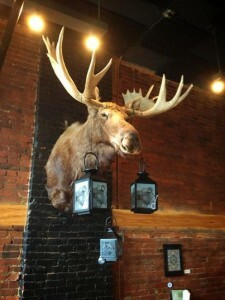 Tucked into the heart of Ohio City, Nano Brew is your friendly neighborhood brewpub. Consisting of a tiny brewery, beautiful beer garden, and bike repair station, Nano Brew is there to serve the locals in any way they can. You read that right, this bar is almost as into biking as it is brewing. There is a station where you can tune up your ride, complete with drink rail so you can enjoy a brew while you re-assemble your chain, or tighten your brakes. Something else that is awesome about the melding of biking and brewing is their daily deal — if you wear your helmet inside, your first beer is half off! The reason for the name Nano Brew is because, well, they have just about the smallest brewery you can get. Ordering their system from www.morebeer.com, Nano Brew features a one-barrel brewery that fits inside an old DJ booth next to the bar. If you don’t understand things in terms of barrel size, a barrel is 31 gallons, or about two kegs. This is not much more than a really sophisticated, really big home-brew setup. Andy and his staff use this brewery to do two things. One is to serve the patrons of the bar itself (they have over 20 beers on draft, only a handful are Nano Brew’s), and the other is to be a pilot system for Market Garden. Market Garden has a bigger brewing system and if a beer at Nano Brew is good enough, they move the recipe over and serve it on a bigger scale. Speaking of the beer, they had three to offer the day we went: Nano #Kolsch which is a lighter, German style beer, Nano Namber, a slightly hoppy amber ale, and Bullwinkle Bitter which is the beer I had. Named Bullwinkle Bitter after the giant stuffed moose head hanging on the wall, this beer was an example of the exact type of beer I love. It was big in hoppy flavor, but not cloyingly bitter, it had a good malt balance without being sweet, it was light, crisp, and absolutely delicious (my favorite beer out of either brewery). 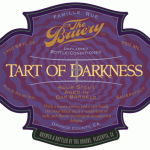 If you can get there while this is still on tap, please grab a glass. As we do our brewery tours and meet new people, we learn a little about how they run their establishments. I’m always interested in what input the staff has on the beers they serve, and Nano Brew, like some other breweries, does something really cool with it’s staff. Andy has three employees that are allowed to brew anything they want. When he brews, he’s more likely to do something that’s a little lower alcohol but high in drinkability, but he wants his staff to have the freedom to make experimental beers as well. Sounds to me like a great place to work! Check out their website at www.nanobrewcleveland.com, and if you’re in the area stop by for a pint and put a little air in your tires! Just down the road (or down the alley as we walked) from Nano Brew is Andy’s other brewery called Market Garden. 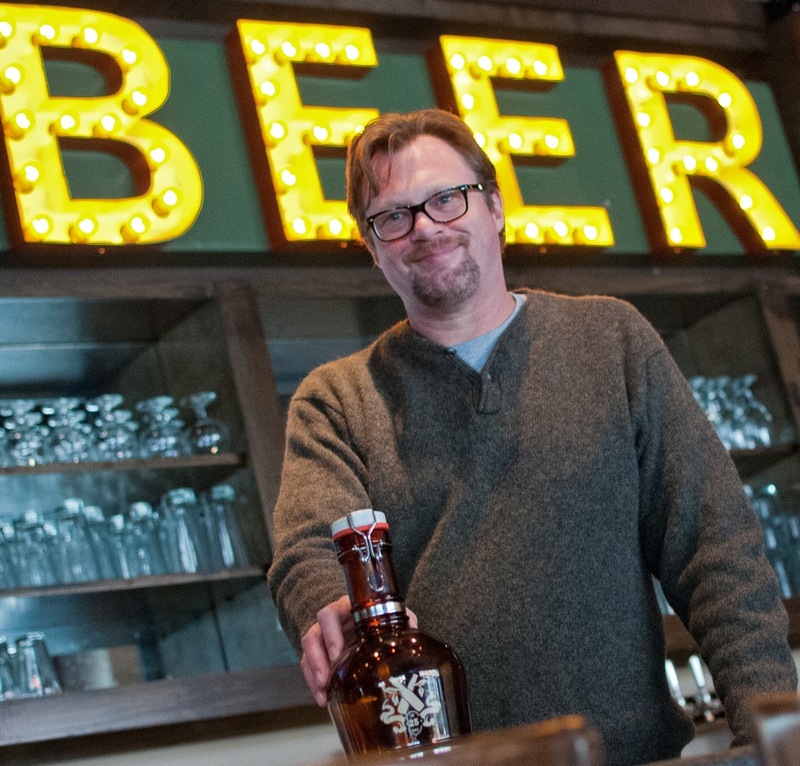 Andy joked around with us about how he may have chosen a bad name for a brewery on accident. 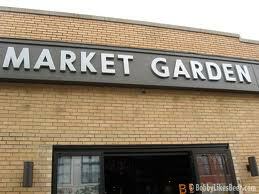 It is called Market Garden because it is by the West Side Market, and they wanted to feature their Beer Garden. What he didn’t think about was the highly unsuccessful Allied invasion of Germany in 1944 called Operation Market Garden. And though he realizes the name might not bring back great memories for some, he’s going to stick with the brand, and it is working well for him. Market Garden is a brewpub that serves as an indoor escape during the winter, and an indoor/outdoor Beer Garden in the summer. During the summer they open the doors (which is more like a big glass wall) to a space full of tables for you to enjoy the beautiful summer weather. While the doors are closed in the winter time it becomes a cozy brewpub serving incredible, high class comfort food. While we were there we enjoyed Scotch eggs with pickled veggies served with mustard and Sriracha (not ketchup!) on the side, and potato and cheese pierogies with stuffed cabbage and an apple slaw. I love how they are appealing to the Polish and Central European Heritage of Cleveland, while also appealing to the foodies that love craft beer. Everything we had was simply delicious. As I mentioned above, all of the beer we tried had the perfect balance of drinkability and flavor. When we got to the brewery, he took us to see the fermentation tanks, the brew house, and to sample some brews straight from the bright tanks. I don’t know if you’ve ever had beer that fresh before, but there really isn’t anything better. The brewery is set up for ergonomically efficient use, but they are quickly outgrowing the system they have now. In the near future Market Garden is expanding to a new building behind the pub which they are dubbing “The Palace of Fermentation!” It is going to be a much larger operation that will allow them to distribute to more than just themselves. When we got to the bar, we were greeted with two flights giving us samples of just about every beer they had. Some of my favorites were the Pearl Street Wheat — a German style wheat beer with big banana and clove flavors, Cluster Fuggle IPA — a crisp, slightly bitter, hoppy IPA, and Lakeside Lager — a malt based, clean, american style lager full of flavor! Andy loves showing people that Lagers don’t have to be bland and flavorless. Both the Lakeside Lager and the Old School American Lager (which is a pre-prohibition style lager) are flavorful, refreshing, clean, and lend themselves to multiple glasses. Just because I picked those out of the crowd, doesn’t mean that the others were bad. Trust me, when you are as experienced as Andy is you know how to make a good beer. Every brew we had we liked and they have something for anyone and everyone to drink. Check them out at http://www.marketgardenbrewery.com. As a review site we always am trying to nitpick, to find things that could be changed about the places we go and the beers we drink. The fact is, when it comes to Nano Brew and Market Garden, the biggest downside is the size. I just wish there was more beer readily available outside of the breweries themselves! The atmosphere, the food, the drinks, and especially the staff could not have been any better. Andy is not only a great brewer, but just a great guy to sit and drink with. He was even named one of Cleveland Magazine’s most interesting people! The bartenders were attentive, helpful, funny, friendly, and even knew how to help Ron with his Sriracha/ketchup mixup, getting him everything he needed to get back to enjoying his time at Market Garden. If you’re ever in the area you need to stop in and try some beer at either Market Garden or Nano Brew. You won’t be disappointed.